Over the last decade, the South Waterfront has blossomed into one of Portland’s most desirable live/work communities, with over $3 billion in new development. The neighborhood is home to the Oregon Health and Science University, Oregon’s largest employer. OHSU is currently in the second phase of their 20-year plan. This is largely based on expanding its South Waterfront Campus with over one million square feet under construction. The most recent additions to the South Waterfront include the Center for Health and Healing, Rood Family Pavilion and Knight Cancer Institute Research Center. 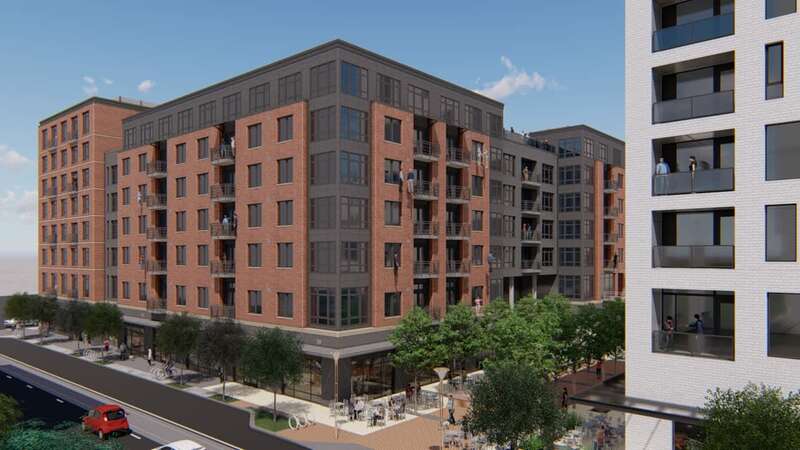 The 232-unit project will consist of five stories of wood framing above a concrete podium and subgrade parking garage. The community will include 6,000 square feet of street-level retail space. The transit-oriented development is adjacent to a Portland Streetcar stop, two blocks from the OHSU aerial tram, and five blocks from a new MAX light rail station. The community will feature luxury urban finishes and will offer a fitness center, resident lounge, and rooftop terrace with views of downtown Portland, the Willamette River, and Mount Hood. The project will target LEED certification.